Day 31 of 365 Blog Photo Challenge 2014! T.G.I.F and the heavy snow, cold wave, polar vortex or whatevs is finally ohverr. It was still a bit freezing but manageable. Last Monday was extremely cold that it hurts my ears so bad. Classes got cancelled in Tuesday and Wednesday. The road are clear now as most of the snow were already melting and scattered iced along the sidewalk. 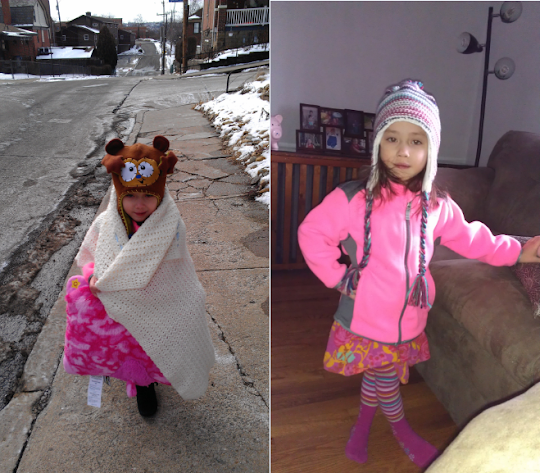 I picked up my pre-madona pre-schooler at school today and instead of wearing her winter coat, she preferred to wrapped her blanky around her. 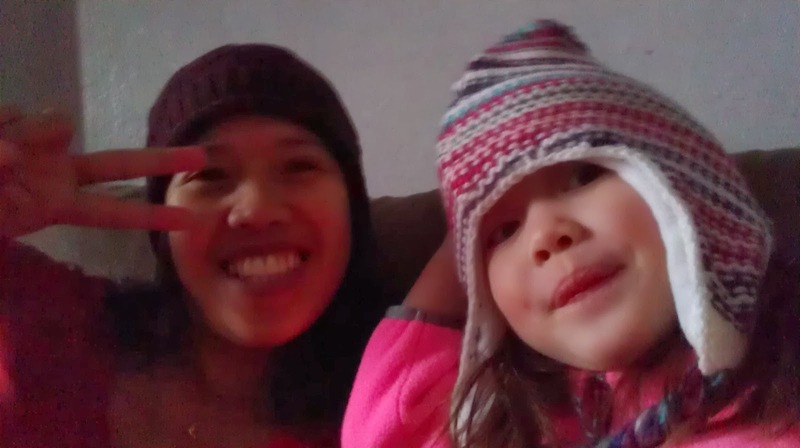 Meanwhile, my order from Zulily had arrived today so she tried my winter hat and took a selca of her and even took a selfie with my phone. She knows how to take photo with my cellphone. She stole my phone last night because I found tons of photos of her and video in the gallery. pagkacute sa duha oi bahala bundled up sa katugnaw.. hehehe.. :) love her in pink.